It's a coffee-mad world! And for good reason: Not only can caffeine fuel your day, it's loaded with health benefits including reducing the risk of cardiovascular disease, type 2 diabetes and Parkinson's disease — and that's just the tip of the iceberg. 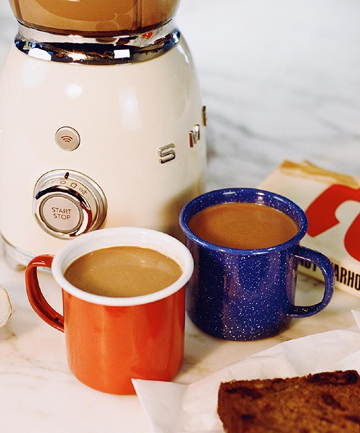 Thanks to the plant-based alchemy dreamed up by all-around wellness guru and Moon Juice founder Amanda Chantal Bacon, you can make your coffee even more delicious and nutritious. Celebrities like Gwyneth Paltrow, Emma Roberts, Shailene Woodley, Jessica Alba and Miranda Kerr swear by Bacon's concoctions. Whether you want to boost your energy or your libido, Bacon outlines her seven favorite coffee recipes, all of which she makes using a Vitamix (because she says it gives the fluffiest mouth feel).